My music composer, Matt Morton decided to do a period score, using only instrumentation that was around pre-1969, most notably, he went out and got a 1968 edition Moog synthesizer. What 1968 Moog synthesizer is this? I'm not sure if I should post this question here or in Movies SE. If there are Moog aficionados here they may know it right away, so I thought I would try here first. 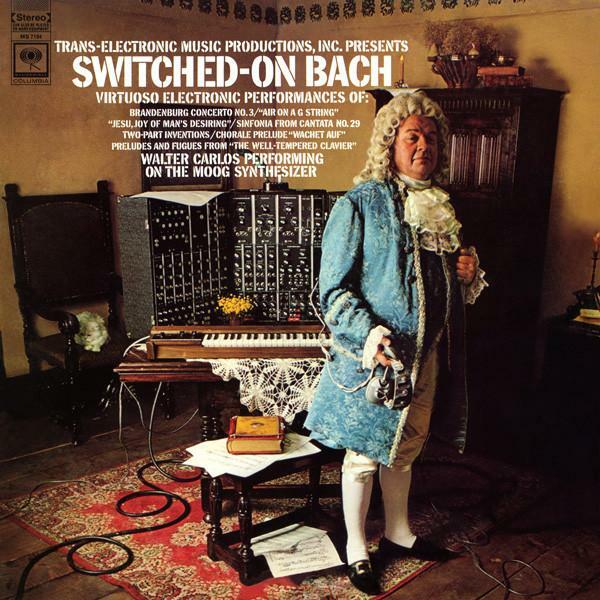 The only thing I can think of is the cover of Switched On Bach. Matt wrote, orchestrated, performed, recorded, and mixed all of the original music for the film, as well as the teaser trailer and the theatrical trailer. Every instrument and effect used in the score existed at the time of the mission in 1969 including the Moog modular Synthesizer IIIc (see below), the Binson Echorec 2 (tube echo), the Mellotron (early keyboard sampler used by The Beatles, Led Zeppelin, etc. ), and the orchestra. I had a quick listen to this video & the trailer, and I have to say that all the synth noises I could pick out from this & under the orchestra could be made in VSTi these days (or certainly close enough for those of us without a Hollywood budget;) I have several plugins that can do Moog, ARP, Mellotron & the like, all really quite convincingly, if not as a single 'patch' then at least by layering. Not the answer you're looking for? Browse other questions tagged history synthesizer or ask your own question. How do I play the synthesizer on my own? Keyboard + laptop or synthesizer? How do multiple analog synthesizer voices work together? What is the cheapest hardware synthesizer, or where are schematics for DIY? Uploading tones on a synthesizer. What equipment do I need to listen to a synthesizer?